Heat oven to 350°F. 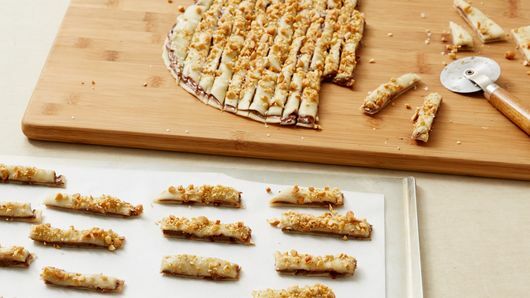 Line large cookie sheet with Reynolds® Parchment Paper. Unroll pie crusts on work surface. 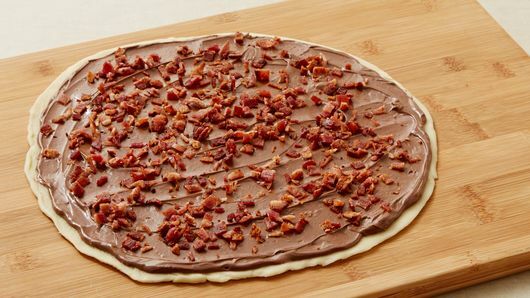 Spread peanut butter chocolate spread over 1 pie crust to within 1/8 inch of edge; sprinkle with bacon. Top with remaining pie crust; press lightly into filling. In small bowl, beat egg and 2 teaspoons water until blended. In another small bowl, mix peanuts and 1/2 teaspoon coarse sea salt. 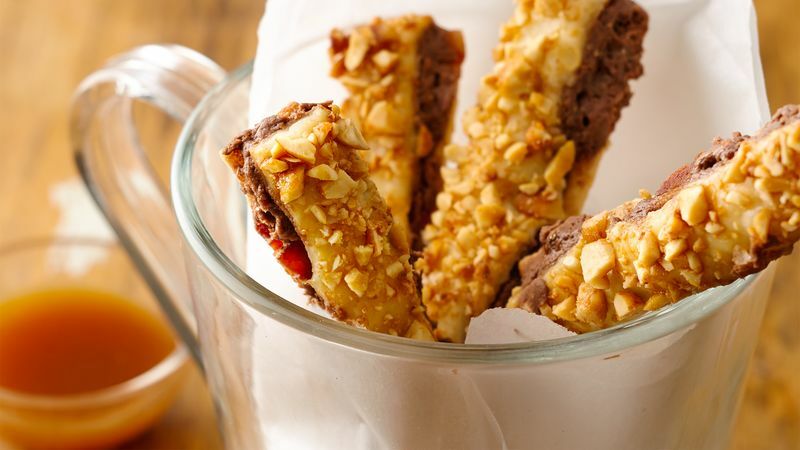 Brush egg mixture evenly over pie crust; sprinkle with peanut mixture. With pizza cutter or knife, cut 18 rows by 4 rows. Carefully place fries 1 inch apart on cookie sheets. Bake 14 to 18 minutes or until golden brown. Meanwhile, in small microwavable bowl, microwave caramel topping uncovered on High 30 to 50 seconds or until warm. Serve with fries.